Participation at all ACE events at no extra charge. A value of $200.00 just to attend the Best Practices Workshop! 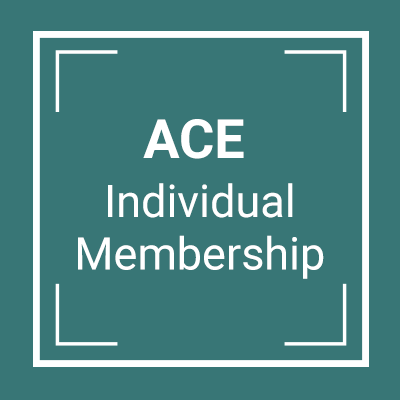 Access to ACE’s members-only section on the website. Individual membership is non-transferable and non-refundable.